HES has been collecting Box Tops for several years, and we have earned alot of money with very little effort. Just by collecting Box Tops, putting them in a ziplock bag, and turning them in to your child's teacher, you can help our school earn much needed supplies and materials that will benifit your child! Every 9 weeks, the top class in each grade will earn a party. 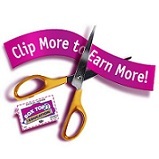 So, clip those Box Tops and tell your friends and family to collect them for you!! Visit the Box Tops 4 Education website by clicking on the icon below, and sign up for Headland Elementary School and you can earn money for the school by shopping online!